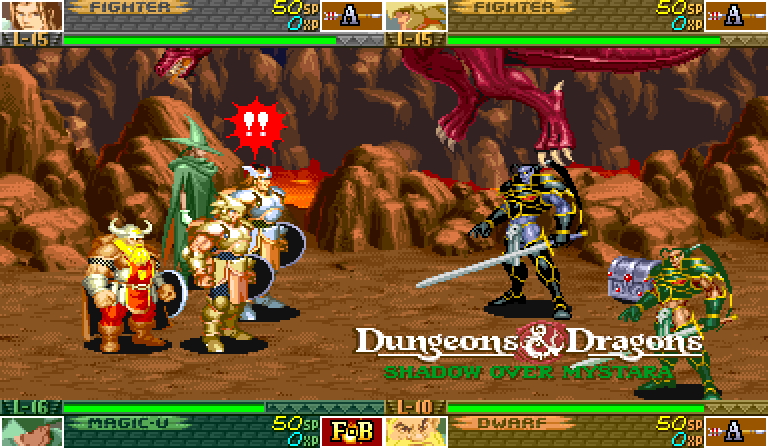 When Capcom announced that both classic arcade games Dungeons & Dragons: Tower of Doom and Dungeons & Dragons: Shadow over Mystara would be heading digitally to various consoles, the kid in me exploded with glee. Two of my favorite arcade side-scrolling beat ’em up games of all time, that was once only available on the Dungeons & Dragons Collection for the Sega Saturn as a Japan only release and an old PC port. Now becoming available for all with an HD make over, online capability, and enhancements under the guise of Dungeons & Dragons: Chronicles of Mystara. The double-pack is set for a June digital release on Playstation 3, Xbox 360, Wii U, and Windows PC, developed for Capcom by Iron Galaxy and priced at $14.99/€14.99/£11.99/1200MSP.